So I watched the video trying to explain how this works and lets face it its way beyond my comprehension or ability to remotely understand it. I once heard a physicist say that there's only a handful of people on the planet that fully understand quantum entanglement. Maybe China is planning to use that to their advantage to bluff us. If none of our people can figure out exactly how this satellite works, they may not be able to definitely say it doesn't work either. It'll keep us busy for years wasting money and manpower trying to figure out a way around it, and having to take their possession of the technology into account strategically, all based on a red herring. True enough but not all radar uses quantum entanglement. That's the context in which they're calling it "quantum radar". 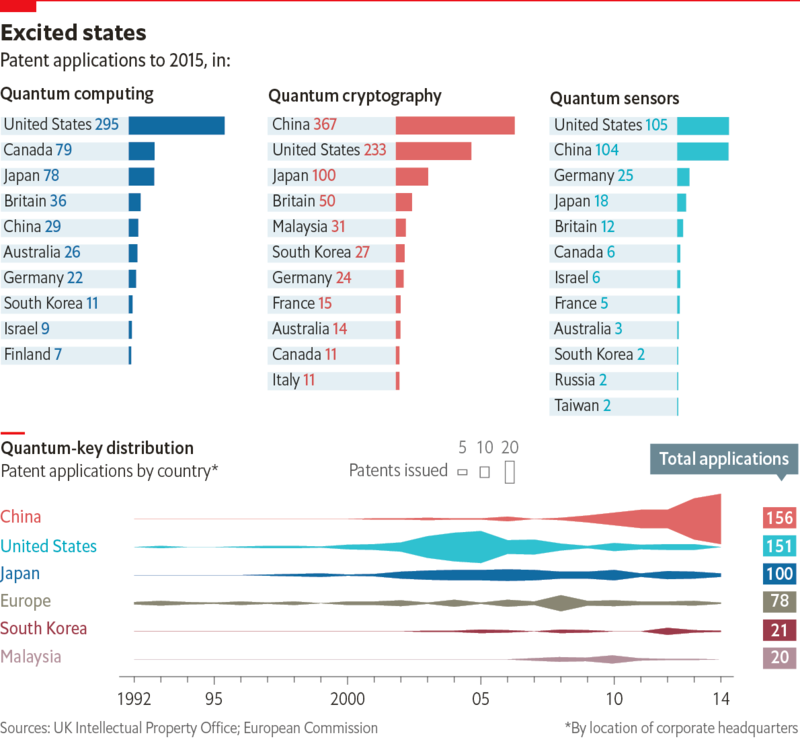 They just removed a word because "quantum entanglement radar" is too cumbersome probably. Arguably less accurate too, but the article isn't in an academic publication. To layman readers, the distinction is meaningless. Oh look, stealth is obsolete. Again. Of course, I'm sure they are..my point is do not underestimate an advesary. This is 2 years old already. Make of it what you will. Stealth is far from obsolete as Zaph correct points out, neither is it in any form..invisibility. Many people think stealth platforms simply fly around being 'stealthy' doing what other aircraft do, utter rubbish, flight envelopes are tightly restricted, climb rates, tight turns, banking etc ALL compromise the platforms multi spectrum visibility. There are some interesting ideas for ground base stealth target acquisition, using L or S band radar to cue combined IR/Optical sensors which can achieve weapons lock on stealth aircraft - ironically of course, the bigger the stealth aircraft the easier it is to do away with tailplanes / canards etc which are the bugbear of any RCS aircraft. However these systems are a few years away yet, audio corridor sensors have been tested in various parts of the UK to test the viability of detecting low flying LO platforms (with some success) of course though as the range of standoff munitions increases, the difficulty of stopping those increases massively. I've seen some truly weird and wonderful ideas to protect SAM launch sites, from explosive splinter munitions to detonate or fracture incoming weapons to multi level graphene weaved domes (with variable launch openings ) to incredibly high pressure water and air cannons to disrupt the final few hundred metres of a weapons trajectory. In the end it's a huge game of chess, sooner rather than later, any platform attempting to disable high threat weapons like S-400 etc will certainly be unmanned, fully AI driven stealth missiles are the order of the future, human pilots are too valuable for the task. "Stealth is far from obsolete as Zaph correct points out, neither is it in any form..invisibility. " However electronics outpace stealth. Sensor fusion is stealth's worst enemy. www.deagel.com... "-According to the report, the SLC-7 has a tracking distance of more than 300 kilometers for ballistic target with a radar reflection area of 0.01 square meters. It also has a detection range of more than 450 kilometers for a target of 0.05 square meters and a maximum tracking height of more than 30,000 meters. Moreover, the radar is highly mobile and can move to new grounds within 15 minutes, said the report. According to the report, the No.14 Research Institute also launched the YLC-8B mid-and long-range three-coordinate surveillance radar in recent years. That radar can be maneuvered by road, sea and railway and can be set up by six crew members within 30 minutes. The radar can detect and track traditional multitasking aircrafts at a distance up to 550 kilometers and the tracking distance of targets with a low detect ability is about 350 kilometers, the report showed." I am assuming the YLC-8B is referring itself of tracking .01m2 targets at 350km.... hmmmm .01m2 tracking at more than 300km. In all due respect that cant be done alone with X-band it also says its a UHF radar. But UHF cant track only fire control radars like X-band can do that what gives???? Here is another more detail explanation. aviationweek.com... "-It retains the basic advantages of VHF: NNIRT says that the Chinese DF-15 short-range ballistic missile has a 0.002 m2 RCS in X-band, but is 0.6 m2 in VHF. The principle behind Nebo-M is the fusion of data from the three radars to create a robust kill chain. The VHF system performs initial detection and cues the UHF radar, which in turn can cue the X-band RLM-S. The Orientir system provides accurate azimuth data (which Glonass/GPS on its own does not support), and makes it possible for the three signals to be combined into a single target picture." In other words this turned .002 into 300 times the size it is to .6m2......You want to know what current aircraft are specifically designed to hide from???? Answer: X-band Global security states RCS of F-35 .005 and F-22 .0001 but we all know that is Bull# because the F-35 is smaller and has 10% more stealth composites than the F-22 hence US General Hostage stating F-35 as more stealthier and using same exact material..... www.deagel.com... The Nebo-M is a way more powerful than China's radar in statistics not involving RCS but the regular DF-15 missile has a 600km range what we do not know is the range it was tested and fired for the Nebo-M to detect. Rather if .005m2 is the right target size or not that still would not make much of a difference in getting any closer in taking out China's radar before a SAM notices you. ROFAR is another story along with ground radars exchanging information. All radar is "quantum radar" since it all uses photons and "stealth technology" does not equate with invisibility. Well electrons instead of photons. I'm curious why you don't find much chatter about bistatic radar. The technology to phase lock different radar sites with fiber optics is decades old. It is difficult to maintain a small RCS from multiple directions.